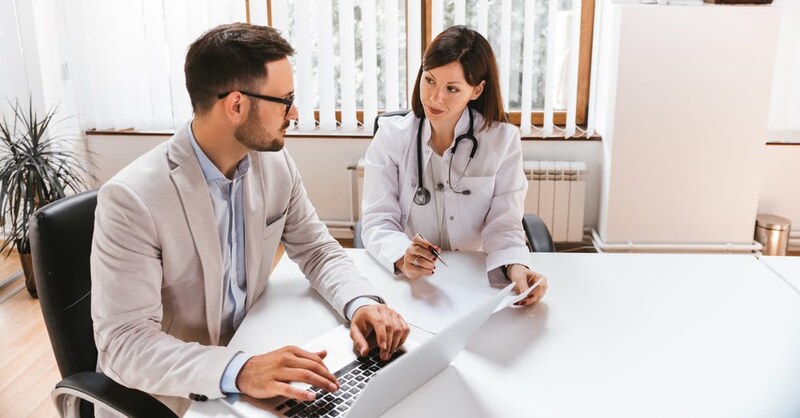 Doctors may get most of the attention in the medical field, but other important players also make a difference behind the scenes – and healthcare administration professionals play essential roles in patient wellness. Healthcare administration professionals coordinate the resources clinics, hospitals, and private practices need, ensuring caregivers can do their jobs effectively. To become a healthcare administrator, you need to earn a degree. And thanks to online programs, you can earn your degree in just 18 months according to Rasmussen College1, opening up more high-paying job opportunities than those without a healthcare administration degree have. Here are just a few reasons why you should consider earning a degree online in this engaging, important field. Think online colleges aren’t as popular as traditional colleges? According to the Babson Survey Research Group², around three million students in the U.S. are fully enrolled in online programs while another six million take at least one online course while attending a traditional college. Given all the benefits of online study, this new popularity for online college programs isn’t surprising. Lower costs: The average cost per academic year at a standard college, as stated by Collegedata.com³, ranges from $25,290 to $50,900. Most online programs cost far less, with U.S. News⁴ reporting tuition prices as low as $11,040. And you’ll save a fortune in fees, housing, meals, transportation, and books. Convenience: In addition to learning in your pajamas, you can learn on your own schedule. Online colleges let you listen to lectures and complete assignments on your own time and work at your own pace. Variety: Not all colleges and universities offer the wide variety of courses that you’ll find online. If you’re interested in a specific cyber security position, such as penetration tester or incident responder, a class devoted to it is right at your fingertips. When you attend a traditional college, you have little say in your learning environment – and even less control over where and when work is completed. You’ll have to attend classes at set times on specific days, making it difficult for anyone with a busy schedule or responsibilities. Online college, however, lets you learn wherever and whenever you like. You can access class lectures, discussions, and even assignments any time day or night, meaning you can fit your coursework into your schedule. And as long as you have an internet connection, you can study. Whether you enjoy working in local coffee shops, on your couch, or even during breaks at work, you can learn and take your classes from absolutely anywhere. With a degree in healthcare administration, you can count on having access to a broad range of career opportunities. The healthcare field is expanding rapidly, increasing both the number of job openings and the pay offered. Healthcare administrators are always in demand, and according to the U.S. Bureau of Labor Statistics (BLS)⁵, in 2017 medical and health services managers commanded impressive median pay rates of more than $98,000 annually. And the same field is projected to grow by 20 percent over the next eight years. As the healthcare field expands and demand increases, you’ll find plenty of opportunities. The BLS⁶ estimates that the industry will open approximately 2.4 million new jobs by 2026. Why is the outlook so good for healthcare administrators? As the Baby Boomer generation and American population ages, the demand for healthcare is increasing. Medical spending is also rising. And administrative roles are among some of the fastest-proliferating positions in the healthcare field, which was the nation’s biggest job sector as of January 2018 according to The Atlantic7. Healthcare administration degree paths vary, and this can actually be helpful for students who crave flexibility. For instance, some entry-level jobs accept bachelor’s degree holders and offer opportunities for progressive advancement. Such positions often attract candidates who want to get into the workforce as soon as possible. Of course, the first step in starting a new career as a healthcare administrator is earning your degree – and to do this, you’ll need to pick an online college program. Search online for colleges that offer the program you need as well as affordable tuition and the flexibility to complete your degree in your time. An online search will allow you to easily compare your options and guide you to the right online degree program. If you’re interested in earning a degree in healthcare administration, start a search today.